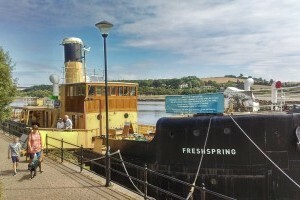 The Steamship Freshspring Society is an educationally orientated charity which owns an historic vessel Steamship(SS) Freshspring. 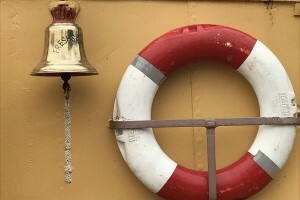 Our aim is to both restore the ship to working condition and to use it as an educational resource aimed at encouraging young people to consider a career in the maritime and engineering industries. To achieve this we are developing onboard and classroom-based learning facilities and simulation equipment, something that is simply not available in a traditional classroom. The SS Freshspring was built in 1946 as one of fourteen ‘Fresh’ class shore-to-ship water carriers for the Navy, and was based initially in Malta. 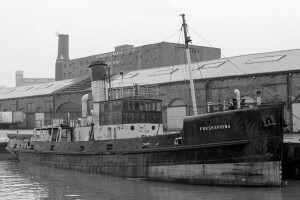 The ship was sold out of service in 1977 after which she was kept by 2 private owners. SS Freshspring is the only survivor of the class. 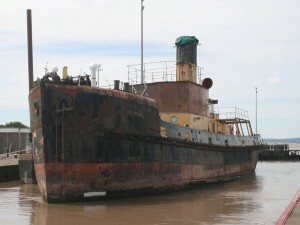 When we acquired her she was in a very poor state in the Severn estuary on a berth that was time limited. Rather than see the ship scrapped, an inspired group set up the Society and in 2016 the National Heritage Memorial Fund provided a grant to tow the ship to a dry dock, re-plate sections of the hull and tow her to a new berth in Bideford, where the ship was berthed on 16th October 2016. From the day the ship arrived in Bideford, an ever growing number of volunteers have been working on enhancing and maintaining her, whilst another group have been planning and working towards the ship’s future. 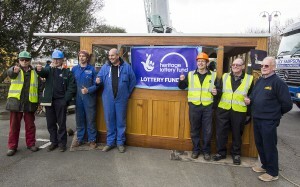 In 2017 we applied to the Heritage Lottery for a grant to restore the wheelhouse – the original of which had rotted away – carry out further work on the decking and superstructure and employ an Education Officer for two years. and a Project Manager. To support this application we obtained match funding from local Councils and funders, culminating in an award of the full grant in late 2017. A key element of our progress has been the support of our Patrons. The Right Honourable Earl Attlee is very supportive of our educational aspirations, whilst Rear Admiral Nigel Guild CB CEng FREng and Captain Kevin Slade FNI, who is a former Chairman of the Merchant Navy Training Board, have both provided us with contacts within the maritime industry and academic establishments. All Patrons have provided invaluable advice to the Trustees. We have a board of Trustees and a management board reporting to them. Our objective is that by 2025 the SS Freshspring will be fully restored to working order and a nationally recognised attraction, both as a maritime resource and as an educational facility and tourist attraction to North Devon. SS Freshspring is regularly available for public visits throughout the year, group tours and talks are also welcomed by appointment.